True love is found in God and fulfilled in sharing with others. We can take action for the good of others, out of this love. Our personal identity, our purpose and our vocation can be directly connected with the Kingdom of God. We should look for (and pursue) ways in which our lives may serve God’s purpose. Serving the needs of others can bring the peace of the Kingdom of God. 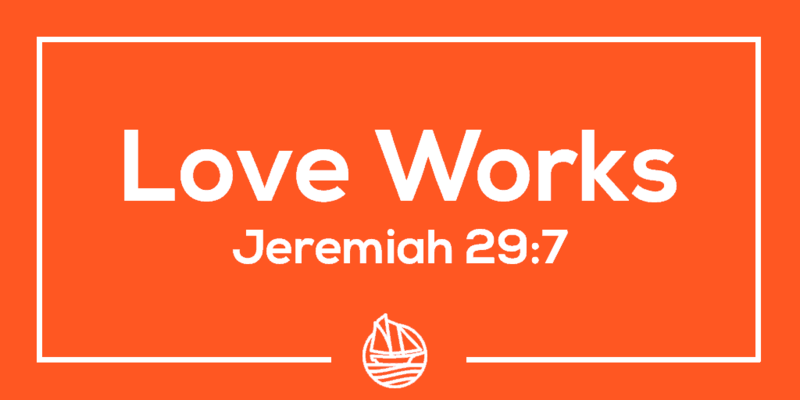 With a Jesus-kind-of-love we can work for God’s purpose and the peace of our city. From a love motive, take action for the good of others. 1. Pray – ask God for wisdom and guidance. 2. Identify – what opportunities are in front of me? 3. Plan – what is God asking me to do? 4. Take 1 step – do something about it. 5. Share – tell someone else about it.